I went to three different middle schools and four high schools, one for each year. I was the perpetual new kid and always struggled to find myself, fit in, and feel accepted. I was extremely insecure, erred on the shy side due to my immense lack of self confidence, and by the time I started catching my groove, it was usually time to move again. Sophomore year was one of the worst. I went to a high school outside of Chicago that resembled a Jewish version of the movie Mean Girls. It was rumored that that movie was based in part on my high school, although I can’t uphold the validity of that statement. Just know that it was just like that, with an artsy twist. I didn’t fit in. I was the new, Army kid. One of the five military kids in the whole school. We stood out like sore thumbs, but we stuck together. My family and I lived on post (military housing) because of the short duty station, while everyone else in the school seemed to live in mansions with maids and nannies. Puberty wasn’t being that kind to me and I’d gained a few pounds. Looking back it was nothing, but at the time, I felt enormous. I was also beginning to experience some depression and struggling to adjust to the changes happening in my life. I didn’t belong in that school. The whole year I felt like a sucker fish in a tank full of coy fish. I didn’t wear all the Michael Starr shirts and the name brand jeans the school adopted as their own. I can’t even remember what they were called, Stutter or something of that nature, but they were about $150 a pair and that just was never going to happen. Still wouldn’t. After school, everyone drove their Beamers and Mercedes to shop at Saks Fifth Avenue while drinking Starbucks lattes and using their daddy’s credit card. Luckily today I can flaunt my $8 Wal-Mart pants with pride and not fear the judgment of the 15 year old Regina George’s of the world. But I digress. Initially, there was nowhere I fit in. I was the only sophomore in a junior math class filled with the most popular kids in school. They even made my teacher cry one day. It was ridiculous. I dreaded every single day that year and it felt like an earthly version of hell filled with crappy football, snobby cheerleaders and an exclusive drama club. I once fell up the stairs…yes up, not down…carrying a back pack filled with my nerdy books, weighing almost as much as me, because I was too scared to use my locker; right in front of the most popular guy in school. I tripped on my way up like an idiot, and then my backpack was so heavy it dragged me down a few stairs. The guy stepped over me and laughed out loud. It was mortifying. In some ways I was glad he didn’t stop to help me so I didn’t have to look him in the eyes…but then I realized he was in my math class and I just wanted to die. It was not a fun year. I quickly realized I would always be on the outside looking in. For the first part of the year, after a couple days of braving the lunchroom from hell, I resolved to eating lunch in the bathroom. This is not an exaggeration. I went to one of the lesser used bathrooms and sat in the handicap stall, on the toilet, by myself, and ate my feelings and depression lunch. One day I decided to dignify myself and so I emerged. I’ve always had an extreme love and passion for people with special needs, and had a heart for the underdog. Since kindergarten I can remember standing up for the kids in the special education class or in wheelchairs. After all, my brother was one of them.. I think it’s part of why I became a social worker. I felt much more connected to that group than any of the others, so one day, I decided to enter the lunchroom and sit with the only people I felt I made sense with in that school. That opened myself up to a whole new level of mockery, but I at least felt safe and loved and like I was somewhere with people who had souls. They too were no strangers to ridicule and belittlement, but they’d learned to ignore it and carry on. Sitting with the “special needs” crew, I felt like I could actually make a difference instead of just feeling different, all the while being inspired myself. They were not my charity; they were my lifeline. I eventually found a few friends and hooked myself into the dance department, the only other place I felt I belonged even a little bit. Things got a little easier as the year went on. Not good, but better. I always felt like an outcast, but I found a small niche I fit into and I cruised through, praying we’d move the next year. In typical military life fashion, my wish was granted. I think most of us have at least one embarrassing middle or high school story; some worse than others. I was pushed down in the hallway by the eighth graders in sixth grade, I was called a bun head every day in middle school because of being a dancer, I was back stabbed by jealous mean girls, tossed aside by popular boys, and made fun of by many. We’ve all had our moments, and no matter who you are, those painful memories will have a lasting impact. Some people don’t get to walk away from these stories. Some people were so destroyed by bullies that even into their adulthood, they remain scarred and shaken. Some continue the cycle because they never grew out of the shame. Some will never feel good enough because for the 13 years of their school experience prior to college, and maybe even some into college, they were tortured and made to feel like they were worthless. Some were so damaged that they’ve taken their own lives. Bullying is not a joke. It’s one of the most awful things about growing up; and unfortunately, it continues to happen into adulthood, just in more subtle ways. As a mom of all boys, I have fears on both sides of the spectrum. I want to raise my boys to respect others, as well as themselves. 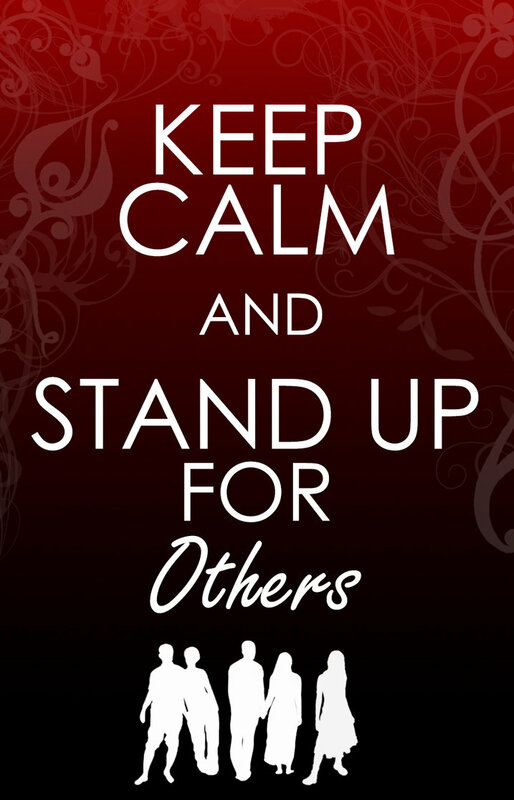 To stand up for injustice, be a voice to the voiceless, and stand bravely against the bullies of the world. I want to teach them the importance of treating others the way they want to be treated, and being kind to everyone regardless of how others may treat them. The thought of them being bullied by someone else sinks my heart right into my stomach; but so does the thought of any of them being the bully. Recently, I was introduced to an amazing group of musicians called Time for Three and their breathtaking instrumental cover of Kanye West’s song, “Stronger.” The video promotes anti-bullying and encourages people to stand up for themselves and to stand strong in what they believe in. It sends a message of, “You are good enough,” in a world that screams the opposite. The song also encourages music education which is something I too feel very strongly about. 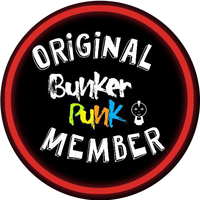 As a mother, a writer, and a lover of all things art, especially music, this is something I jumped at the chance to be a part of, even in a small way. This is a song and a message that touched me deeply and I am honored to partner up with Universal Music Group in order to promote this song and this talented group of musicians. 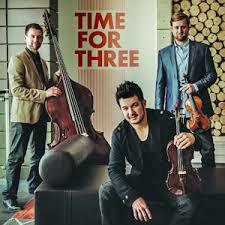 Time for Three performs a wide variety of instrumental music ranging from legendary classical music to covers of the most popular artists of today, as well as their own arrangements. They’ve performed all over the world and the song Stronger has been featured on CNN and the Huffington Post. In honor of this beautiful song and this talented, inspiring group of musicians, I am hosting a giveaway for their new album to my followers. The contest will begin today, Monday, September 8th and end Sunday, September 14th. Two winners will be chosen at random and announced via my Facebook page. 1. “Like” the Time for Three Facebook page and my Facebook page. 2. Watch the video Stronger posted here or on my Facebook page and share it with your friends. 3. Like or comment on the video via Facebook for a chance to win the Time for Three album. 4. Enjoy the message and beautiful music, and encourage your friends to do the same. 5. If you are a blogger and you win, I will share your website via other social media channels. 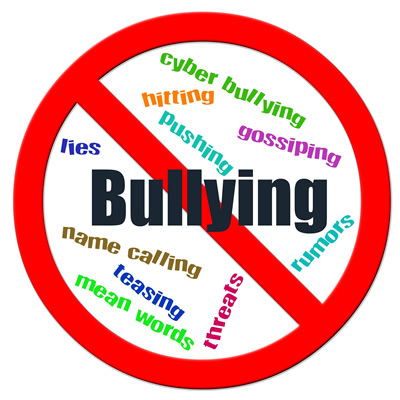 Thank you for participating in this and sharing the encouraging message to stop bullying. I hate hearing about anyone being bullied. It tears me apart when beautiful people take their own lives due to bullying. As a parent, it scares me. Melissa it scares me too! Its a cruel world we live in but I love that quote that says something like, “it’s not our job to toughen up our children against a cold world, Its our job to raise children who make the world a little less cold.” I messed it up but something like that! I know what quote you are talking about. I was going to put it on my FB page because I liked it. I love it! Love all your visuals too! So glad you’re joining me in spreading the word on this video! Well done my friend! Reblogged this on Anti-Bullying In Action.